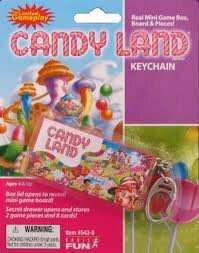 Doll Games & Accessories: Mini Board Games For Your Dolls! See how easy it is to order online or by mail from Sew Dolling! The fun of the original family favorite is captured in this miniature reproduction containing a working miniature spinner, three-dimensional buildings, and a tiny car game piece. 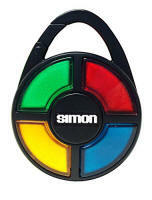 Simon Electronic Carabiner Hand-Held Mini Memory Game! To play Battleship: Remove box lid from Battle Station platform. Attach Battle Station platform into underside of lid and snap shut. Position ships on ocean grids - each player gets 1 ship. Take turns calling out shots using coordinates on the top and side of the ocean grid. Keep track of hits and misses by writing down all coordinates. 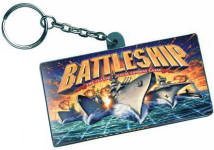 Be the first to sink your opponent's Battleship and you win! Two can play! NOTE: The configuration of the Battle Stations has been altered, and the number of Battleships reduced to accommodate the miniature keychain size. 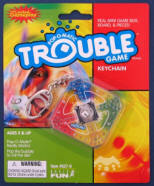 This is a brand new Boggle Board Game Key Chain (measures 1.75" by 2.5" long). 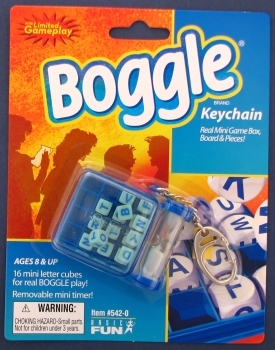 Includes 16 mini letter cubes, and removable mini timer, for real Boggle play! 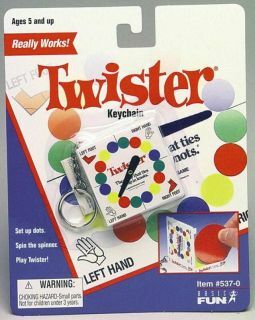 Twister in a keychain is played just like the original twister! Spread the colored dots contained inside the plastic game case on the floor for the "board". Spin the dial and follow the instructions. 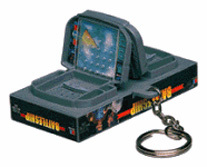 This collectible game keychain features a miniature answer board and a working duplicate of the original message indicator. Message indicator stores in a secret drawer under game board for easy travel. This mini Operation keychain works just like the original on a much smaller scale. 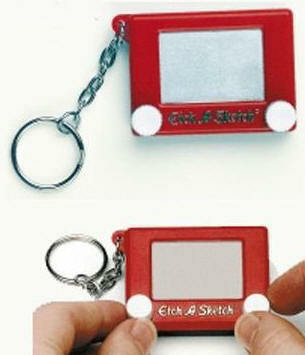 Enjoy this electronic game anywhere by placing it on your key chain. 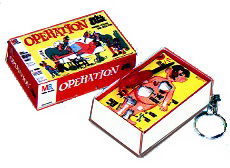 The lid flips up and slides to the side to reveal a working Operation game. Carefully use the tweezers to remove the bones, but don't hit the sides or else the nose lights up and the buzzer sounds. Start in a square at the bottom of a Ladder, move up to the next square. Should your piece stop at the top of a Chute, move down to the bottom square. Remember that ladders only travel upwards and chutes always lead down. Be the first to reach the Blue Ribbon Corner, Number 100 and you win! This collectible key chain has all the word fun of the original. 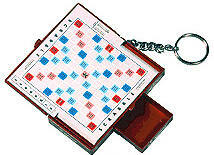 Features magnetic game board surface and 30 mini, magnetic letter tiles. (measures 1 ½" W x 3" L). The box lid flips open to reveal a mini game board and pieces. 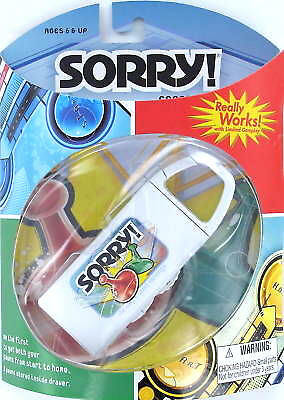 This item is a brand new Sorry® Board Game Key Chain (measures 4" long by 1.5" wide by .75" deep). The box lid opens to reveal a mini game board with working spinner! Mini magnetic game pieces store inside Includes game pieces! 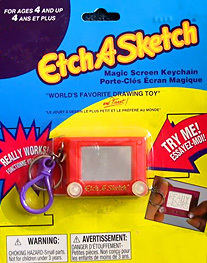 Scattergories keychain - The classic fast-thinking categories game. Players try to match categories using words that start with the same letter. Scattergories comes ready to play with a 20-sided die, 2 pencils, answer tablet, category sheet and working timer. This item is a brand new Barrel of Monkeys Game Key Chain (measures 1 ½ inches wide by 2 ¼ inches long). Barrel of Monkeys plays just like the original - with 13 monkeys! $19.95 ea. $13.95 On Sale! Games on Atari joysticks vary.